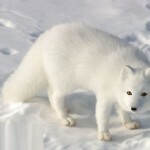 The arctic fox also called as white fox, snow fox or polar fox is small in stature with a species name Vulpes Lagopus. It is seen in the Northern Hemisphere arctic regions and is a common animal in the Arctic Tundra biome. The arctic fox is adapted to live in cold climates and has a thick fur, which is brown in summer and takes white hue in winter. The average size is 85.3cm body length. The body is round in shape facilitating minimal escape of heat from the body. 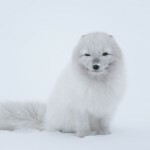 Arctic fox usually eat small animals they find like voles, fish, birds and seal pups. Berries, carrion and seaweed are also eaten by them. They are monogamous breeders and stay in groups always. They reside in underground complex structured dens. 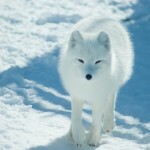 The arctic fox lives in a circumpolar area or the area that includes the entire arctic region. 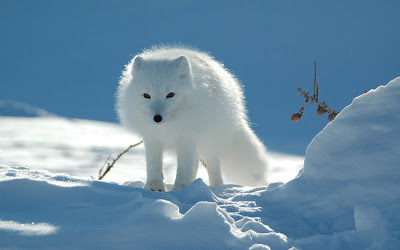 Greenland, Alaska, Canada, Svalbard and Russia and also parts of Iceland and Scandinavia are the places that arctic foxes are seen commonly in. They are properly conserved in all these areas except the Scandinavian mainland area, where they are an endangered species. 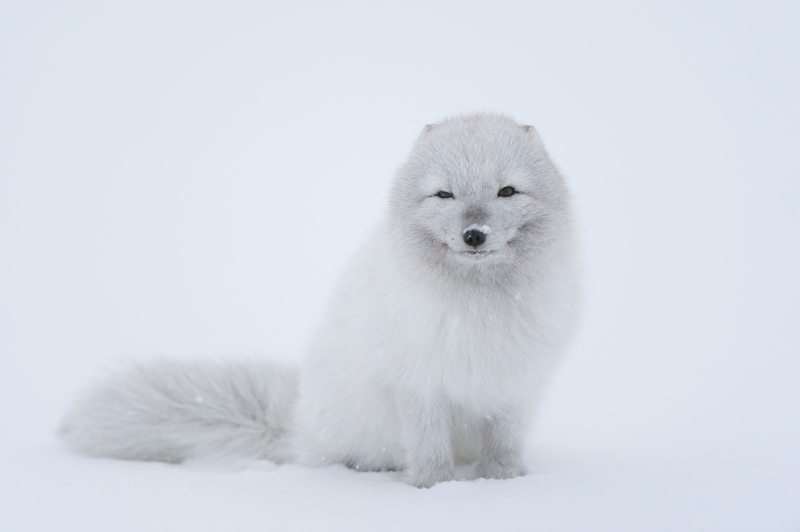 The total number of arctic foxes in Finland, Sweden and Norway come to only 120 adults. 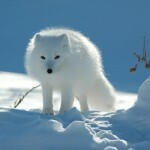 As the arctic fox lives in frigid and cool places, the appearance is adapted for living in extremely cold conditions. 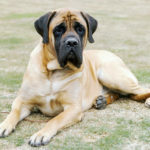 It has a thick and deep fur, paws that help in heat exchange by countercurrent to retain the body core temperature and also is endowed with an appropriate supply of fat in the body. 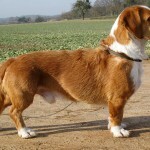 The surface area and volume ratio is low due to the round shape, short muzzle, short legs, and thickset ears. Due to less area of exposure the heat that escapes is very low. Furry paws enable the arctic fox to search for prey in the snow. The keen sense of hearing helps it locate the prey and catch them. The fur can change colors according to the season. In summer it is brown, while in winter it takes a white color to blend with the surrounding snow. 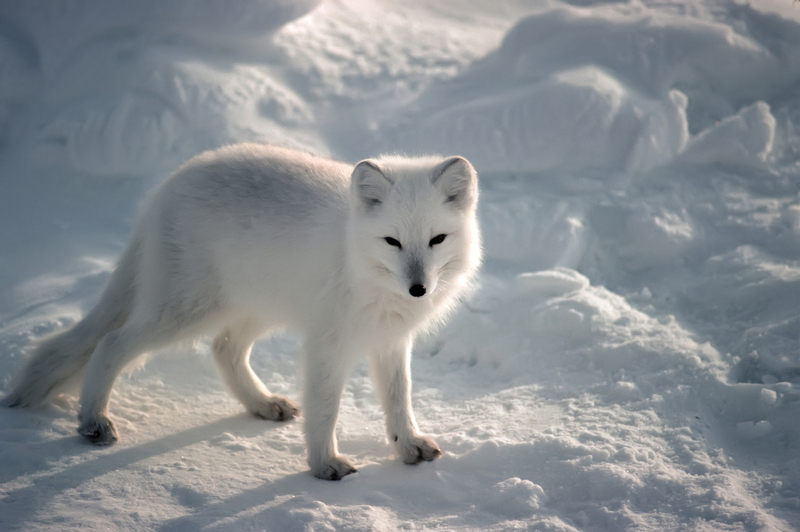 The food for arctic fox is generally the small animals like hares, owls, voles, lemmings, carrion and eggs. Lemmings form its most common food. Dozens of lemmings can be consumed by a family of foxes in a day. 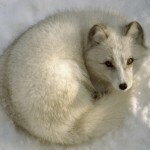 In the April and May months, the arctic fox preys on seal pups, which are helpless and confined to snow dens. Fish found below the ice sheets are also good food sources for arctic foxes. Berries and seaweeds are also eaten by arctic foxes making them omnivorous in nature. In the presence of huge left over food after the family has consumed, the food is buried by them and in times of scarcity, they scavenge the leftovers and also feed on the feces of animals like polar bears. 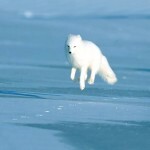 The breeding season for arctic fox starts from early part of September to the early part of May. 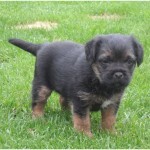 The gestation time is 52 days and the litters are usually 5 to 8 in number, but some can litter as high as 25. Both the parents help in raising the young ones. The females exit from the family and join with their own gender, while the male stays with the family. The arctic fox is monogamous in nature and litters are created during early summer. Large dens are used to raise the young ones. The dens are complicated structures having many generations of foxes in them. The young ones help the parents to look after the small kits. The young ones are brown, but turn white when they grow up. The color changes to brown in summer and returns to white in winter. 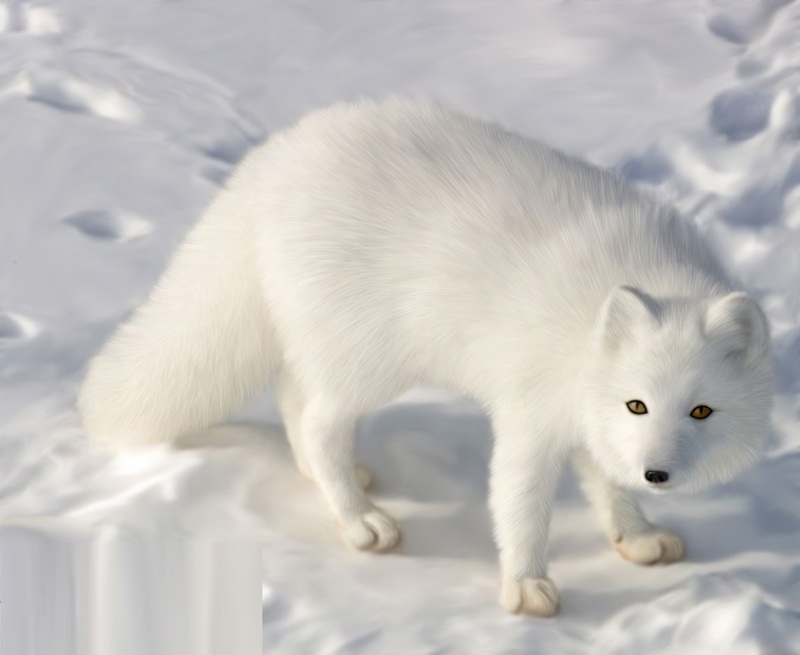 Arctic foxes are usually preyed upon by larger animals like the polar bear. Humans kill arctic foxes for their fur and some indulge in trophy hunting too. Farmers kill the foxes as they attack the sheep and livestock. The dens are not usually used by arctic foxes except during the breeding season. The natal den is constructed and is usually seen in bank area of snow or on a ridge side, or sometimes in a rock pile. A den has four or twelve openings and some older dens have nearly hundred openings. Some are even present for many centuries. 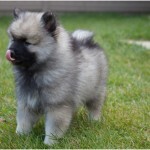 Twelve pups is the average litter size and the birth weight is 57g. Most kits have a poor rate of survival. During food scarcity, the stronger kits feed on the weak siblings and sometimes the parents abandon the young kits too. Wolves, eagles and grizzly bears also prey on the young kits. The weaning is over in the fourth week, while adulthood is reached at the tenth month. The population can undergo a ten or even twenty fold increase and also a hundred percent reduction by the end of a particular cycle. The decline in numbers forces them to migrate to greener areas. Though in captivity foxes can live up to 15 years, this is not the case in the wild. Predation, human hunting and harsh survival conditions lead to a high mortality rate. The arctic fox is the solitary land mammal seen in Iceland, probably due to the migration during the ice age. 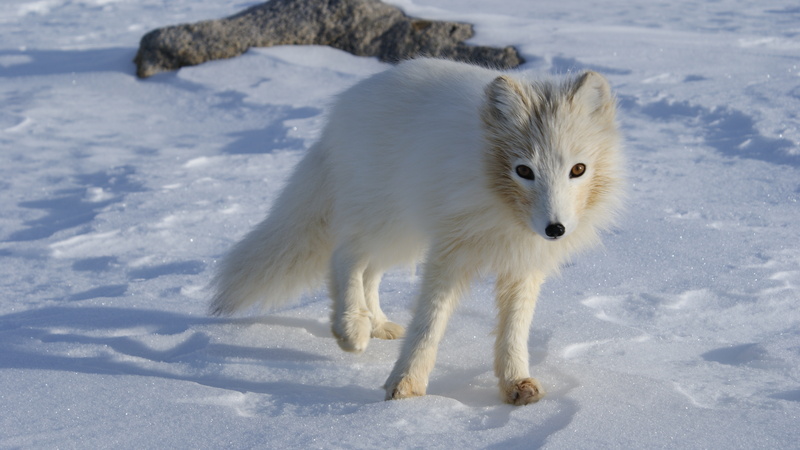 The population of arctic foxes is dependent on the prey population, especially the voles and lemmings. 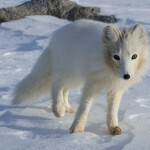 The arctic fox is becoming extinct and giving way to the more dominant red fox. This is due to the climate changes, when the camouflage factor of the lighter coat is reduced by the decreasing snow cover. The red foxes usually kill the arctic foxes and the kits in areas where their presence is overlapped. Now red fox is the top predator in the area. 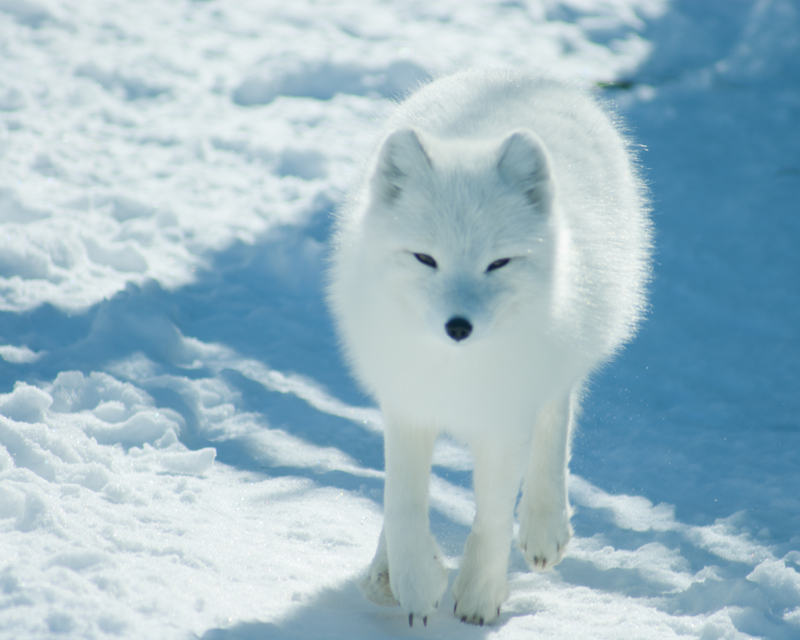 The adaptations present in the arctic foxes helps them to live in extreme conditions. Studies reveal that the foxes can identify the barks of members and those that do not belong to the family. Barking is their only means of communication. 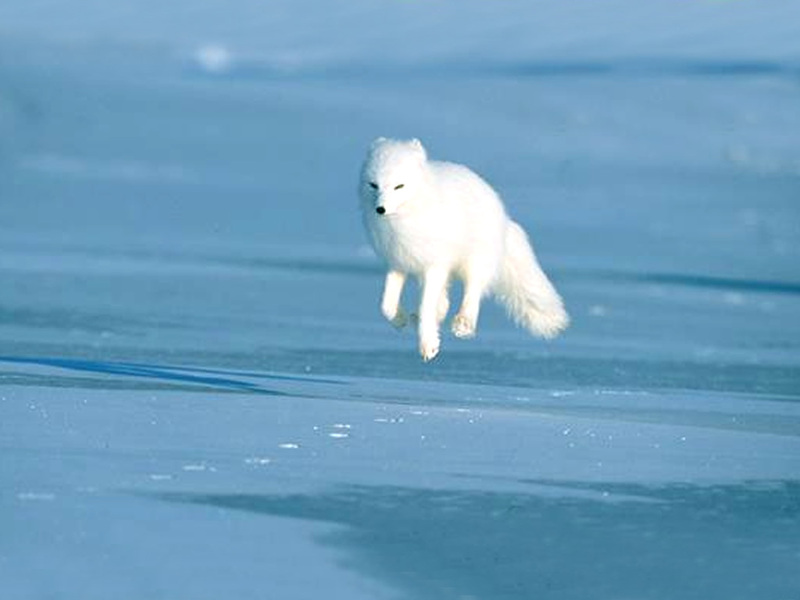 The arctic females are nomadic inside the territory, while the male fox’s range is typically larger than the female.